This month I visited the wonderful exhibition about the Geishas from Kyoto, Japan, a place that’s very high on my wish list to travel to. The exhibit shows the whole procedure the geisha’s have to undergo and their training in all different kind of arts, such as dancing and playing and musical instruments, as well as the many traditional customs and rituals that a geisha should know. At the exhibit it’s also very interesting to learn more about kimonos and how they are worn. A true geisha has many different kimonos that she wears in the different seasons, and more specifically there are also different kimonos to express the different months. 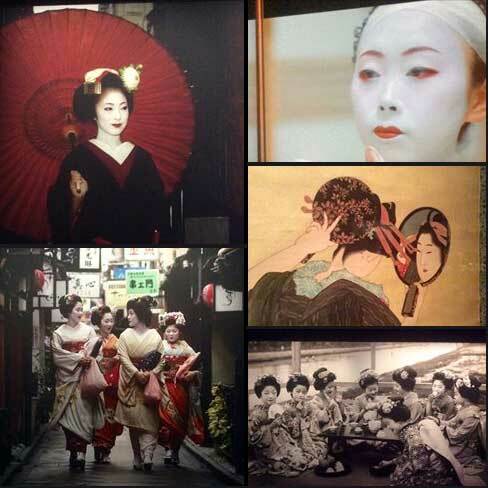 The geisha exhibition is on display till April 6, 2015. 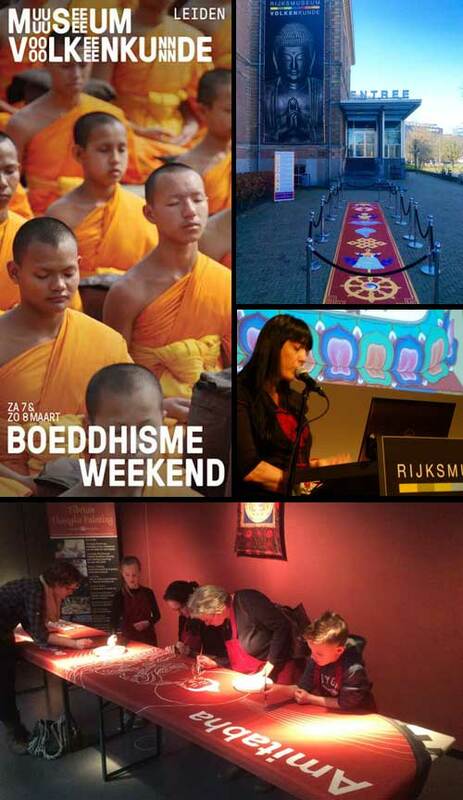 One was also able to visit the Geisha exhibit during the Buddhism Weekend at the same Museum of Ethnology (in Dutch: Museum Volkenkunde), in Leiden, the Netherlands on March 7 & 8. At this Buddhist festival I gave lectures on the 5 Buddha Families and guided tours on Amitabha Buddha. here you could have joined Carmen in painting the first large flag of the series, the red flag of the red Buddha Amitabha. The museum also exhibited the artwork I created for the Dalai Lama‘s visit in 2014. 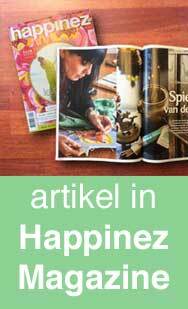 The next Buddhism Weekend -where you can join Carmen in painting the blue flag of Akshobhya Buddha- will be on March 19 & 20, 2016.